Early to midcareer journalists from across the globe who are interested in environmental reporting can apply for a fellowship in Rhode Island. 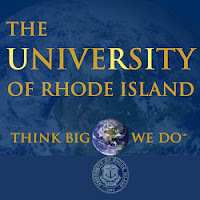 The Metcalf Institute for Marine and Environmental Reporting is sponsoring a six-day science immersion fellowship at the University of Rhode Island’s School of Oceanography. The fellowship, which will run from June 9 - 14, will emphasize basic methods of environmental research, the principles and ethics guiding scientific inquiry and opportunities to cultivate scientific sources and deepen participants’ understanding of how environment and the public interest intersect. Field and lab work as well as lectures by prominent environmental researchers will be included. A 2013 Metcalf fellowship will include room, board, tuition and travel support of up to US$500 paid after the completion of travel. Fellowships are available for approximately 10 professional journalists from all media. The deadline is February 25.